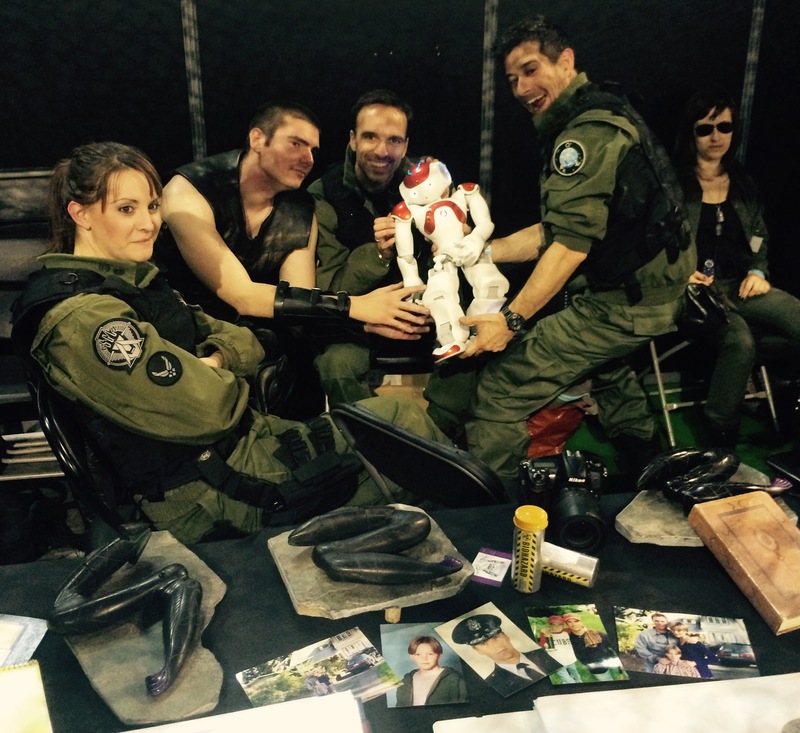 Fri, 29/05/2015 - 10:36 Elise D.
Last week-end, one of our team participated for the first to Geekopolis, 'the festival of imaginary cultures'. 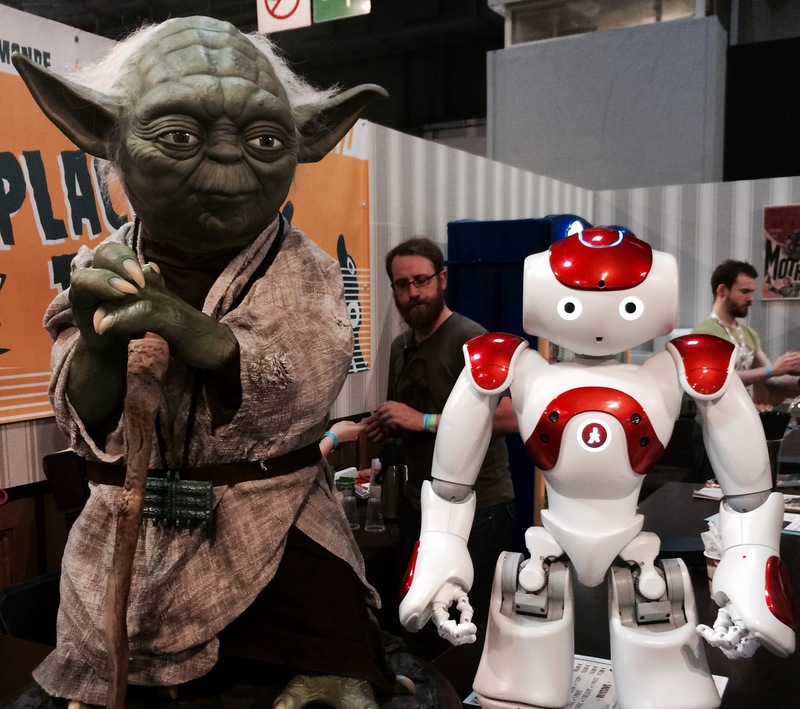 Dedicated to geek culture, the convention gathered during two days more than 15,000 visitors and 200 exhibitors in Paris. 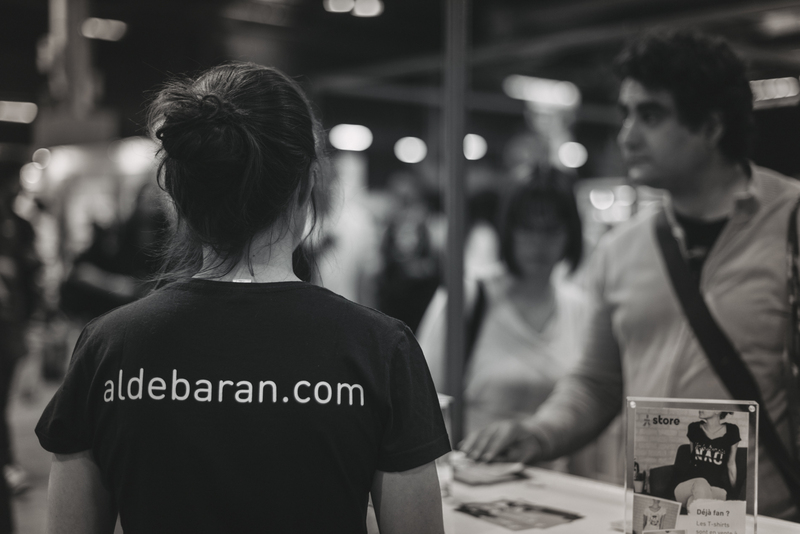 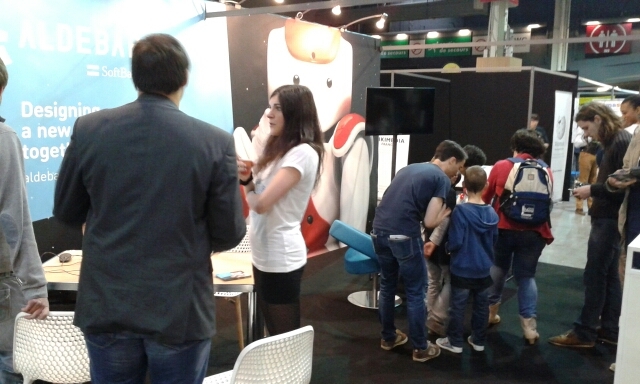 During the week-end, the team ran a booth in the Teklab village. 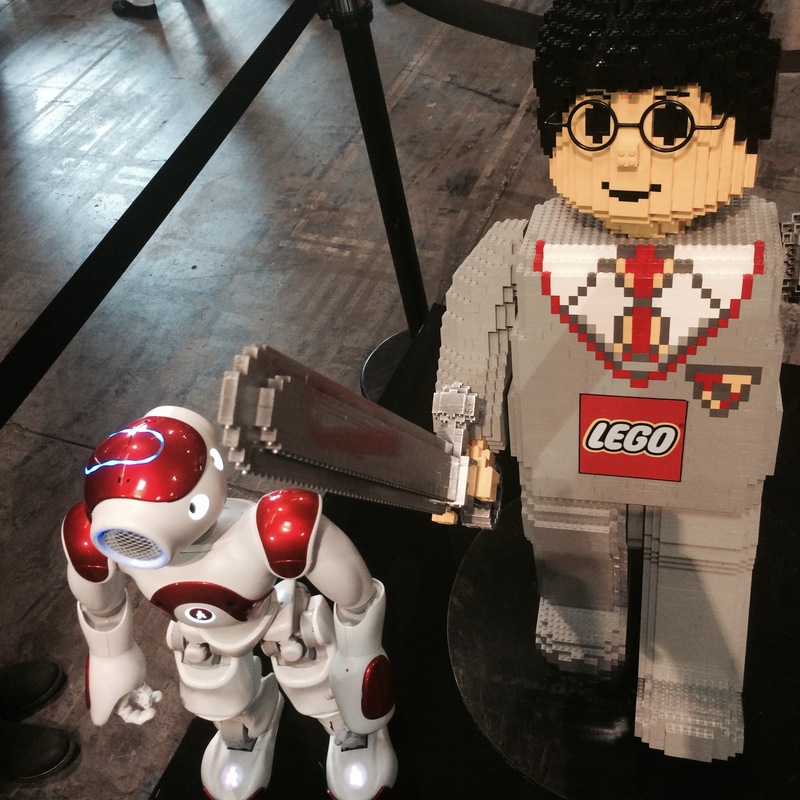 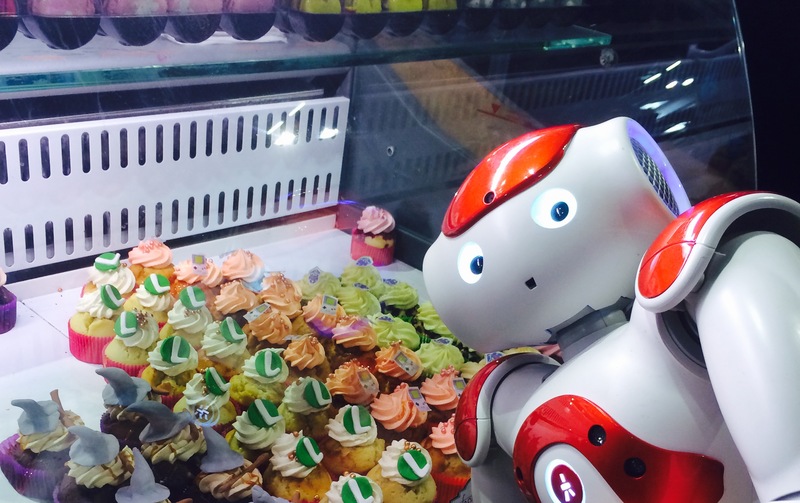 Three NAO robots were accompanying us and introduced to the public. 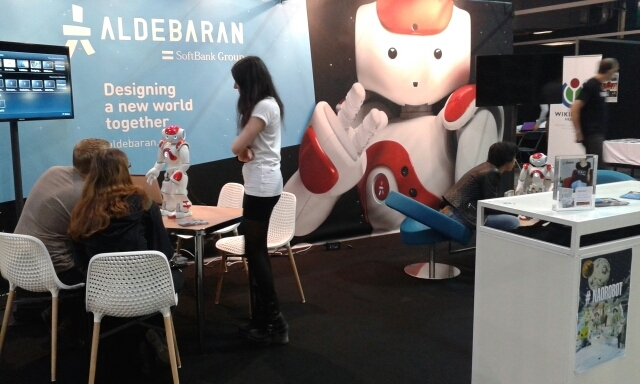 Since most of the visitors did not know much about robotics, Celine offered introductions to programing on the booth all the day. 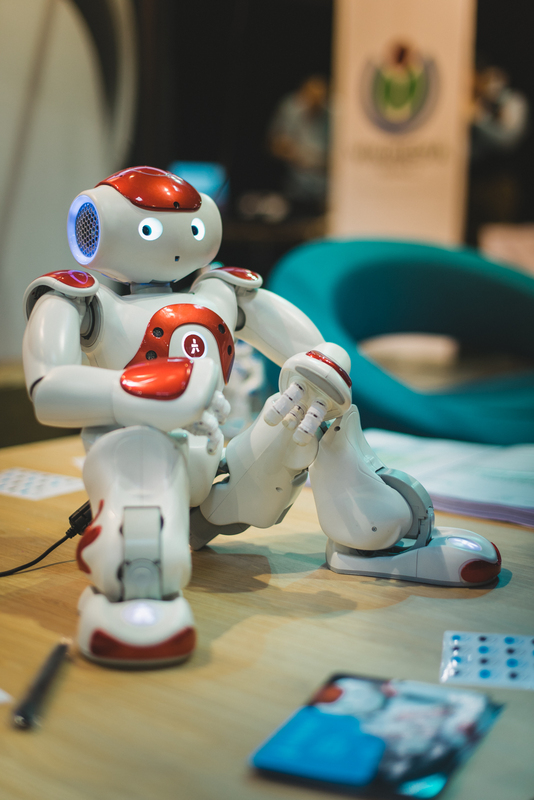 Both youngs and olds could discover the basics of NAO functioning. 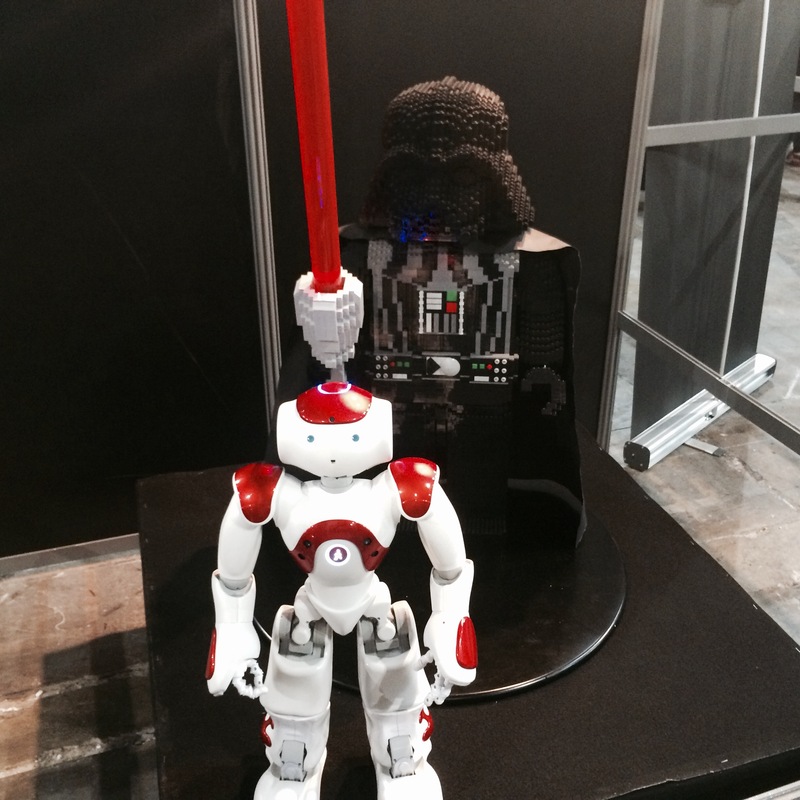 For many, meeting with NAO was a first. 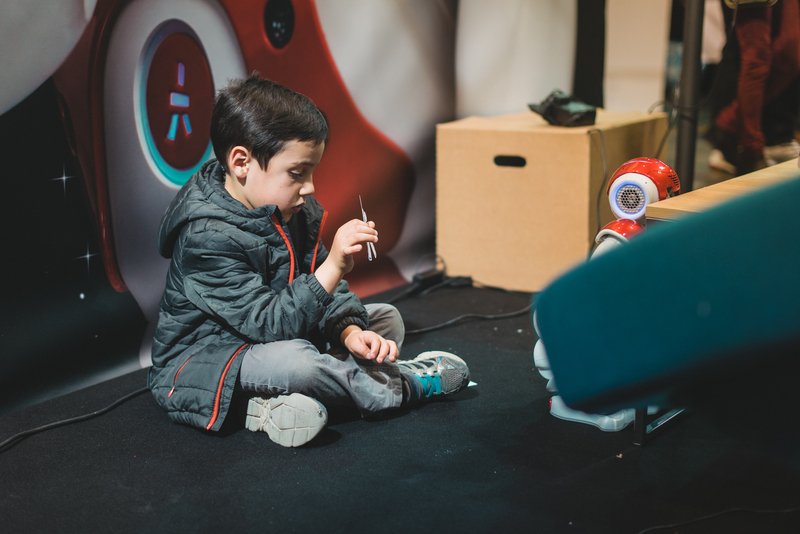 Despites the environment noise, our little bots did the job and amazed the visitors with their dancing and interaction skills. 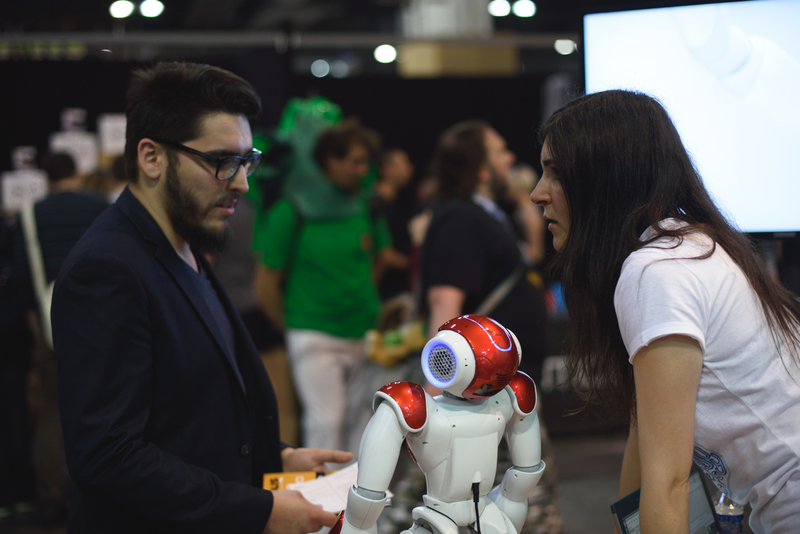 He was also lucky enough to meet many mythical characters..
Geekopolis is not the kind of event we are used to exhibit at, but our team was really glad to be part of it!